On Wednesday, we told you that the Huawei Mate 8 and honor 5X will both be coming to the U.S. next year. Huawei will show off the pair during CES next month. Of the two models, the Mate 8 has visited the FCC, confirming that the handset will be coming to the states. The model number of the Mate 8 device tested by the FCC was NXT-L09, and the documentation included the results of some Wi-Fi tests conducted at 5G speeds. 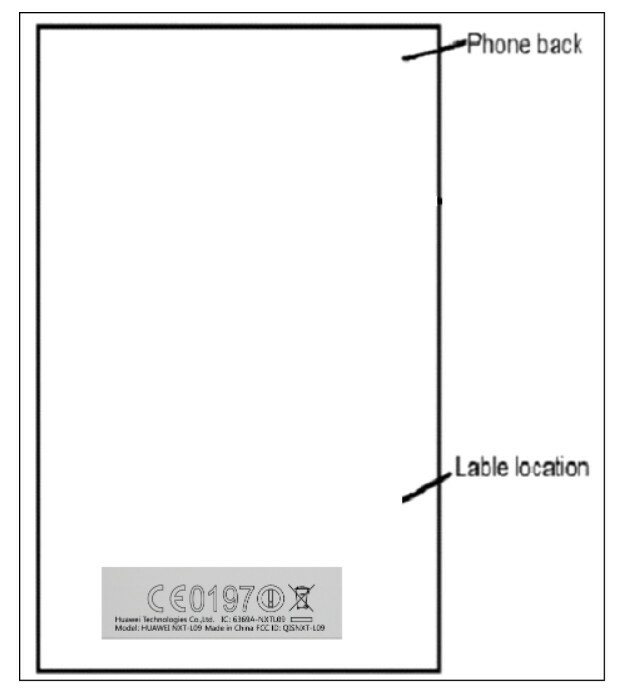 The FCC paperwork doesn't include any photographs, but did show an illustration of where the FCC label is going to reside. The phone was the first to come with the new Kirin 950 chipset. This allowed the Mate 8 to score a whopping 94,250 on the AnTuTu benchmark test. The Huawei Mate 8, launched on December 9th in China, and features a 6-inch IPS display with a 1080 x 1920 resolution. The aforementioned Kirin 950 chipset carries an octa-core 2.3GHz CPU, and the Mali-T880 MP4 GPU. Three versions of the phone are available. One has 3GB of RAM and 32GB of native storage, priced at the equivalent of $580 USD. Another version comes with 4GB of RAM and 64GB of internal memory, and will cost you the equivalent of $590 USD. The Champagne Edition features 4GB of RAM along with 128GB of internal memory, yours for the equivalent of $1075 USD. Those requiring additional storage can access the 128GB capacity microSD slot. The 16MP rear-facing camera employs a Sony IMX298 sensor, f/2.0 aperture, PDAF for fast focusing, and OIS to keep an unsteady hand from ruining a video. The 8MP front-facing camera includes a Sony IMX179 sensor. Toss in a 4000mAh battery, and you have the makings of a pretty well-spec'd phone that could have Americans reaching for their wallets next year. How much will they sell, they don't really have a name here outside of tech enthusiasts. Even if there are, they're buying the Nexus 6P instead. Did anyone notice the $10 difference between the 32/3GB and the 64/4GB??? Noticed! Huawei doesn't ripp-off consumers like the Storage & RAM shenanigan of Apple. Yeah. I had the Mate 7 for a short time. The software was horrible. The display not very bright and contrast was just ok. The thing that bothers me most is the claimed MAH on the battery's. 4100MAH on the Mate 7 and battery life was horrible. You had a clone not the real one . I had it so I know how good it is . I think the US version will come with Snapdragon 810 . Because , kirin chipsets are not allowed in US .